B.P. 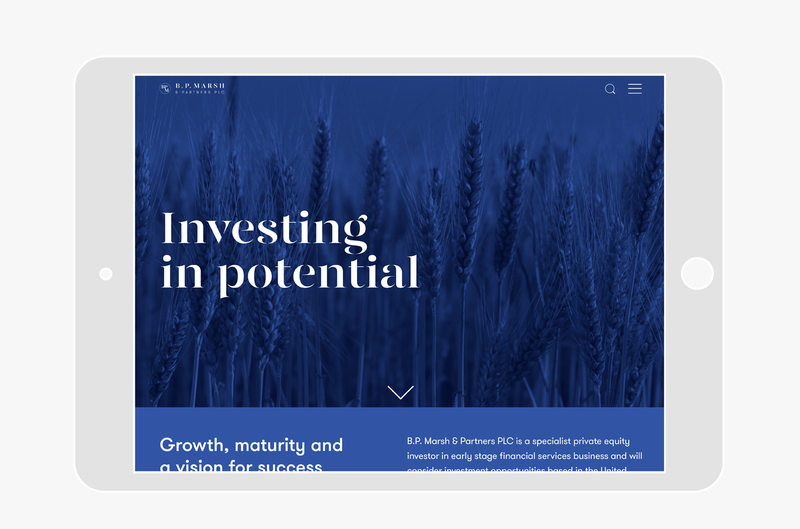 Marsh & Partners PLC is a specialist venture capital/private equity investor in early stage financial services intermediary businesses, including insurance intermediaries, financial advisors, wealth and fund managers and specialist advisory and consultancy firms. B.P. Marsh has invested in 44 businesses since it was founded in 1990 and its management team has a wealth of experience and a well-developed network within the financial services sector. We worked closely with B.P. 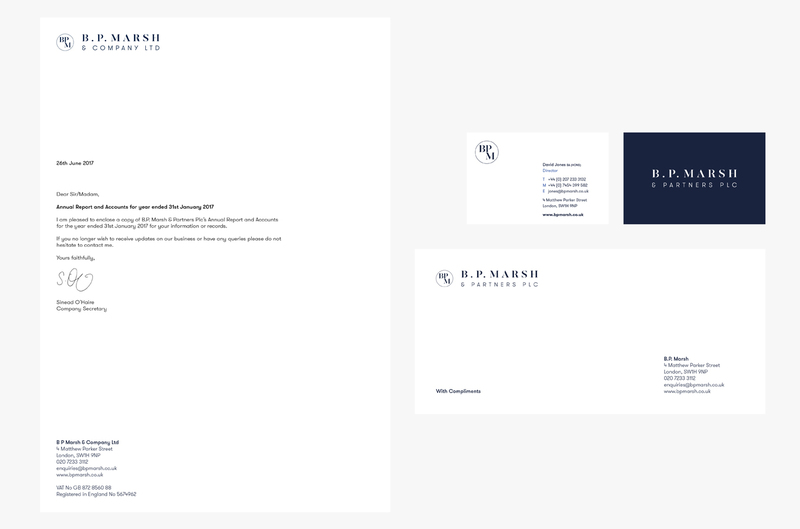 Marsh to develop a brand voice and tone that fit their vision. 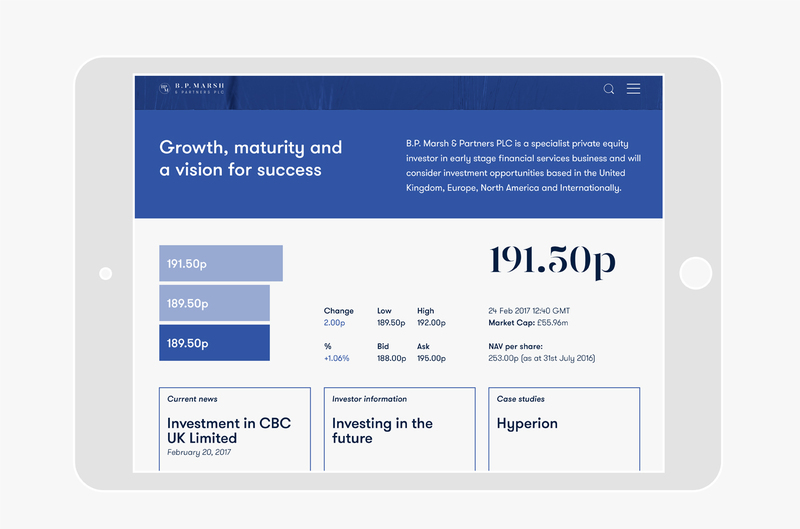 We applied the new brand identity across a suite of new collateral including its Annual Report and a simplified website.